Tom Patterson was born June 13th, 1962 in Victoria, British Columbia. 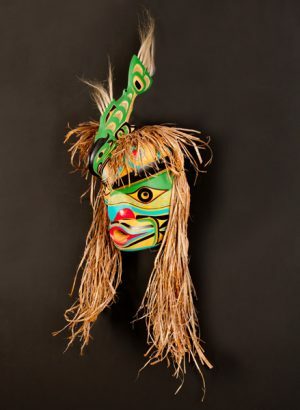 He is a member of the Nuu-cha-nuth tribe of Kyuquot on the west coast of Vancouver Island. He began carving in 1977 at the Arts Of The Raven workshop and gallery under the guidance of Tony Hunt Sr. Although he is of Nuu-cha-nulth (West Coast) descent he is also strong in the Kwaguilth style of carving. He also studies Bella Coola, Tlingit and Tsimshian styles. Tom’s art education is one of discovery, as he gradually develops his repertoire by studying his own past through books, photographs and talking with his elders. 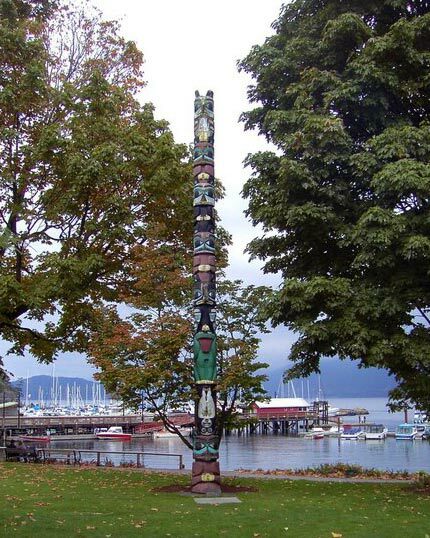 1988-89 – Tom worked with Art Thompson and Tim Paul on a 40′ replica of a 100 year old Nuu-cha-nulth totem pole for the Royal Museum of British Columbia. 1990 – Tom taught a two week carving program at Idylwild School of Music and the Arts in California. "As a contemporary artist I am interested in pieces my ancestors carved. I try to explore back in time and learn the different steps the artists would have taken to create their art work. Some of my work speaks of these traditional ways. When I study the old pieces I am learning the techniques the elders used. In some of my work I adapt these basic steps to create my own contemporary work without changing the concept of the mask."